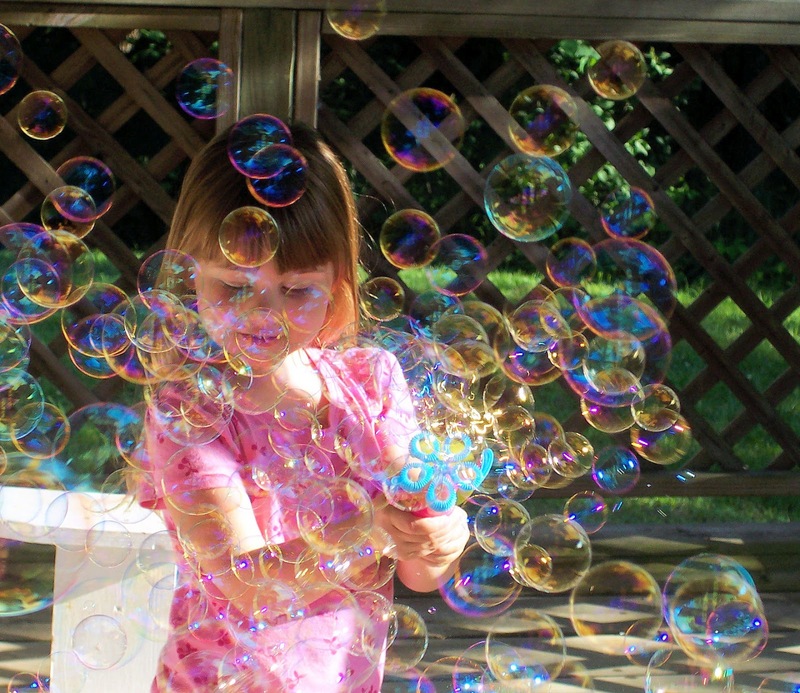 Little Mama: Summer Fun 1 - Bubbles! I can not take credit for these marvelous ideas, but I can pass them along so that you too can enjoy them! A friend of mine shared an awesome, homemade bubble solution "recipe". I am not sure where she found it though. Add 1 cup of dish soap. Mix well, again. That's it! Super simple and cheap! The next bubble idea comes from Come Together Kids. After you have mixed up your bubble solution, pour it into one of those tea jugs with the spout at the bottom. The kids can refill their containers easily and hopefully with less spillage. I love this idea!! More fun with bubbles? My favorite thing is to use one of those battery operated bubble blowers. This allows hundreds of bubbles to be blown and mom doesn't get light headed from blowing them! Education.com has a cute activity in which you can paint with bubbles. In a small bowl you whisk a small amount of tempera paint into your bubble solution. Next place a straw in the bowl and have your child (or yourself if your child is too small) blow bubbles into the bowl until there is a "pile" of them on top of the bowl. Gently lay a piece of paper on top of the bubbles, and carefully lift it up and lay flat to dry. As the bubbles pop, they leave their shapes behind in paint! My friend also shared the idea to break open glow sticks and mix the liquid with bubble solution. This creates glow in the dark bubbles for night time fun! 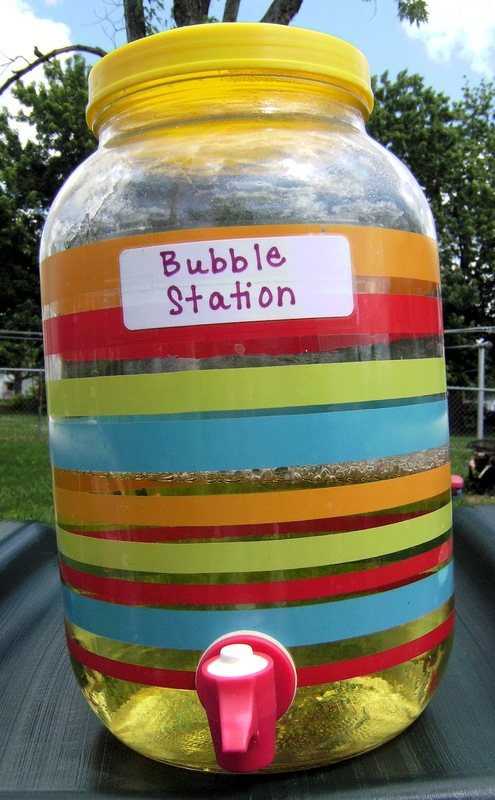 Do you have an awesome bubble fun tip to share? Maybe you have a favorite summer activity. Tell me about it!